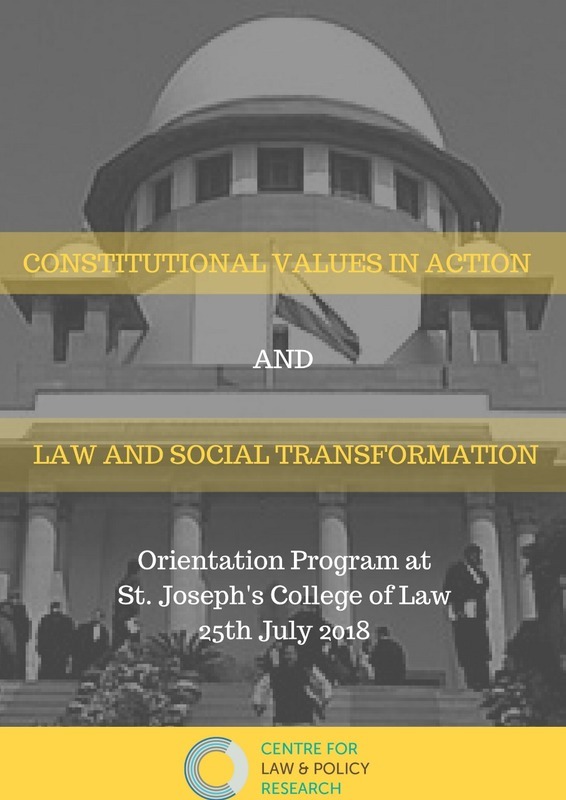 The first session aims to introduce newly joined law students to the constitutional values of our nation, its origin and its operation. It seeks to incorporate civic education and generate public discourse on key issues. The second session seeks to look at the relationship between law and social transformation. It will use contemporary examples around key issues to illustrate the interplay between law and social change.